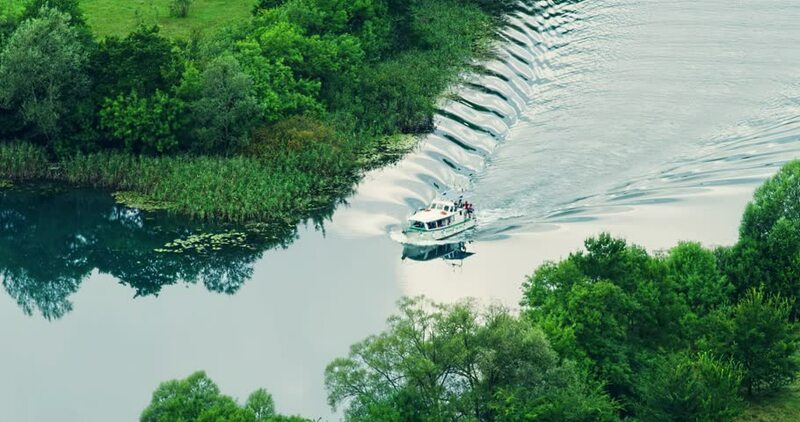 Tourist boat floats Krka river in a summer day. hd00:19River deep in mountain. A small stream, flowing through a forest.